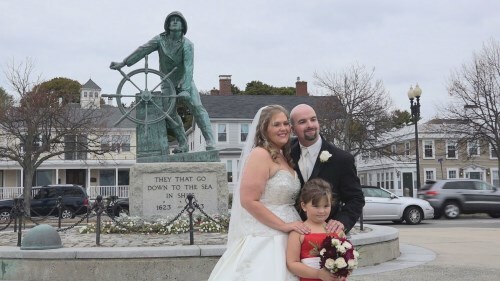 For nine years, Jim Merchant of Pirates Lane Video has been providing New England couples with high quality wedding films that capture all of the emotion of the day. Jim has filmed hundreds of weddings, and will be the main videographer and editor of your film, for consistent high quality results. With unobtrusive multicamera coverage, you can relax and enjoy your wedding day knowing that all of the best moments are being beautifully captured for years of enjoyment by you and your family. Aerial videography is available as a standalone service or as an add-on to any of our video packages. Aerial videos are shot in 4K UltraHD with a 20MP camera flown on a hexacopter. Aerial photography is available as a standalone service for locations from Boston through Southern NH. Photography only packages start at $150 for a single location, including up to 15 high resolution photos and a set of compressed web ready copies. Videographer Jim Merchant of Pirates Lane Video has been filming high quality wedding videos throughout the greater Boston area since 2010. Some of our favorite Boston wedding videos were filmed at the Boston Public Library, the State Room, and the Intercontinental Hotel. A well crafted wedding film can bring back all of the sights and sounds of your wedding so that you can relive them for many years to come. If you are in need of a Boston wedding videographer please visit our Investment page for package details or contact us for a quote. Whether you are looking for the best wedding videographer in MA, the most affordable or just the right combination of both, you may find almost as many different opinions as there are videographers. By far the most important part of the search is to watch our sample videos. There are many great videographers in Massachusetts, and there are many affordable videographers, but we all have different techniques and editing styles. Trust your gut, and go with the videographer who's videos move you emotionally, or at least makes you say wow. Whether that's Pirates Lane Video, or one of the many other great videographers in MA, that's the important thing. I want you to love your wedding film, and you only get one chance to get it right. Pirates Lane Video is available to film your wedding anywhere in New England. If you are looking for a New Hampshire wedding videographer, we recently filmed a beautiful wedding at Birch Wood Vineyards, and have filmed at a number of other venues in Southern New Hampshire. 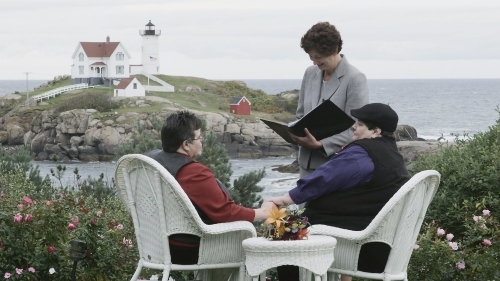 There are no travel charges for most New England wedding locations. We have filmed in every state in New England and beyond. Sample videos from some of our favorite wedding venues in Massachusetts, Maine, New Hampshire and Vermont can be found on our weddings by venue page.